Following on from my Gift Guide for Her, today I am bringing you a post filled with gift inspiration for the men in your life. Men can be really difficult to buy for but I have a selection of both practical and novelty products from a range of fantastic brands to help make things a little easier. 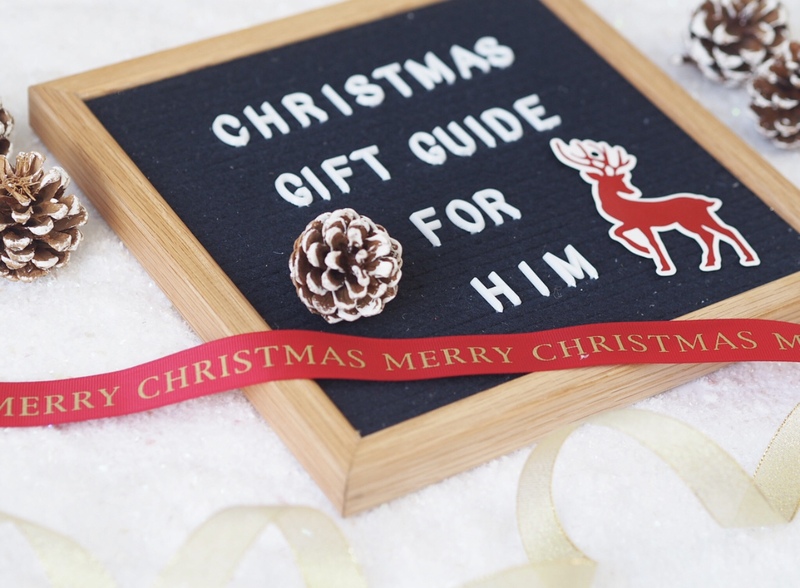 Without further ado, here is my Christmas Gift Guide for Him 2018. Both myself and Ed are very into our gadgets. This Dashcam from Nextbase is the perfect gift for anybody who loves a gadget but it is also extremely practical as well. The Click and Go mount makes the dashcam simple to install plus Nextbase are currently offering up to 25% discount off their dashcams. Dorco’s shave gel kit would make a lovely gift for men who are into their grooming. The set includes a razor, refill cartridges and shave gel all packaged together in a gift box. The Retro Smartphone Magnifier from Menkind is one of those gifts that you might not need but provides a lot of fun. It is compatible with the majority of smartphones and is sure to be a hit on Christmas afternoon when everybody is full of food and in need of some light entertainment. I saw What’s That Smell? in the shops and was totally intrigued by it. If you love games that are a little different and quirky, this one is for you. Suitable for those aged 14 and up, this isn’t one for all the family but bring it out after the kids have gone to bed over Christmas for some hilarious sniff testing! Last Christmas I featured some lovely shoes from Dobell, a brand who offer affordable men’s clothing, footwear and accessories. This year Ed was kindly sent their Teal suit, which is lovely and brilliant quality for the price. This would make a lovely gift but there are other alternatives available to suit every budget. Socks are such a practical gift but this Spot of Style gift set from the London Sock Company is lovely with high quality materials and gorgeous patterns all packaged up in a beautiful gift box. For men who love to cook, this subscription spice kit from The Spice Pioneer would make an awesome gift which keeps on giving. The service allows customers to make authentic, great tasting dishes from around the world including Thai curries, jerk chicken and paella. Who doesn’t love a novelty chocolate pizza? This Crunchy Munchy Chocolate Pizza one from Find Me a Gift is topped with a mouthwatering mix of fudge, brownie chunks and white chocolate curls. The red box is totally festive too. Ed is a total Star Wars fan and this Imperial Death Star Owner’s Workshop Manual from Haynes had his eyes lighting up. The book is really in-depth and each page includes fantastic high res images and drawings. Who said journalling was only for women? This Bullet Journal Set from Derwent includes all you need to get started with a gorgeous hardback black book, a selection of line marker pens and a elasticated pen wrap all packaged together in a smart gift box, making this a perfect gift for anybody who loves stationery. Oppo-Suit have a brilliant selection of novelty suits including a range of Christmas Suits which would be perfect for those upcoming festive parties. I really love the Santa Boss suit I was sent, which also comes in a version for women. The suit comes with a matching jacket, trousers and tie in a quirky festive print which is sure to turn heads this Christmas! This Rock On headphone display stand would make a fantastic gift. It can be used with both headphones and earphones and would look awesome displayed around the home. This Ultimate Cheese Making Kit from Sous Chef is ideal for foodies. The kit includes everything you need to make 8 different cheeses (a total of 40 batches). Looking to buy a nice watch but working with a moderate budget? This Globenfeld Sports Watch is striking whilst being totally affordable. Available from Amazon, I previously reviewed this watch in further detail and would highly recommend it. The Dorco Classic Razor provides a close shave whilst looking super stylish. Refill blades can be purchased from Dorco for just £8.74, making this a terrific stocking filler. This Graphic Line Maker set from Derwent includes an impressive selection of pens in a stylish case. Perfect for creative souls, it would make a lovely gift. Candles don’t have to be for girls. This sophisticated range of scented candles are made by a husband and wife team based in the North of England. This Apple & Cinammon fragrance provides a quintessential festive scent. I featured a Speck Phone Cover in my Gift Guide for Her. These cases are high quality, come in a range of designs and have been drop tested from 10 feet, making them as practical as they are stylish.